Fire and water emergencies are traumatic events. The emotional upheaval and financial cost of a fire, smoke or water damage can be overwhelming. But once the crisis is under control and your property is deemed safe to enter, phase two—property reconstruction—begins. Miller Restoration’s licensed property reconstruction experts will inspect your home or business and outline a specific plan to put your property back together again. Property reconstruction has many variables, for example the extent of the damage, the size and age of the property, how much can be salvaged, etc., so it’s vital that you do business with a restoration company with stellar references. Property owners say they trust Miller Restoration with their reconstruction projects because they value outstanding references, and Miller Restoration’s references are the best in the business. Miller Restoration is licensed and the company’s team is staffed with certified home reconstruction contractors In the aftermath of a fire or flood, putting your property in the hands of a business with these credentials is crucial. 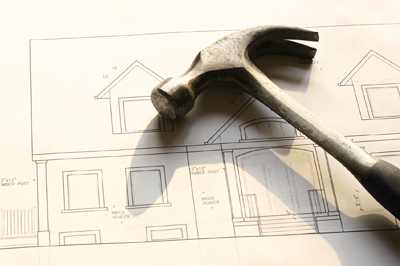 Reconstructing your home or business perfectly requires professionals. Work Quickly: Miller Restoration’s team knows you want the work completed fast. Without cutting corners, your home or office will be put back to pre-loss condition (or better) as rapidly as possible. Work Directly With Your Insurance Company: All major insurance companies recognize Miller Restoration as a certified contractor for home reconstruction. This means the insurance process is handled more efficiently because the adjusters know Miller Restoration’s prices are fair and the work will be done right. Work With 100% Customer Satisfaction, Guaranteed: Whether its fire, smoke or water damage, your property reconstruction isn’t complete until you are 100% satisfied. In the aftermath of a disaster, trust your property reconstruction to Miller Restoration. With a strong commitment to every customer and dedication to every job, Miller Restoration guarantees your 100% satisfaction. Years of property damage reconstruction experience serving Pennsylvania’s Delaware County, Chester County, Montgomery County, Berks County, Bucks County, and Philadelphia County, as well as Delaware’s New Castle County and surrounding areas, has given Miller Restoration countless satisfied customers who can attest to the company’s exceptional service. Ask for references!